It's so sweet - I love the colour! I really love that little plaque...gorgeous. I found you through my friends Kerri and Sarah B...you keep good company! It's so sweet. It will look great with the other pieces on the wall. I love that each piece is a different shape and size. 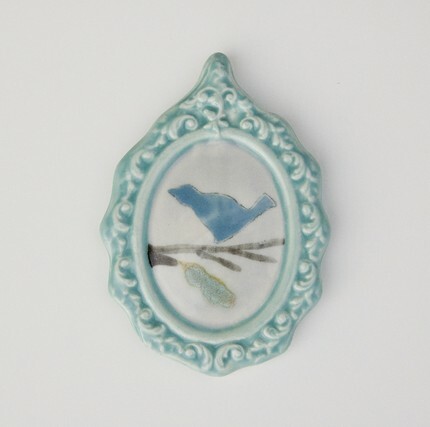 Love the little bird plaque, charming! I love gallery walls and yours is looking great! 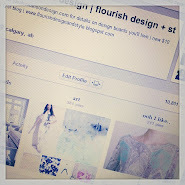 Thanks for the comment on my blog! I'll be following yours now too! Love how you framed the girls' artwork! So different from the usual "refrigerator art"! I love when people decorate with children's artwork. it really makes the room beautiful! mighty cute & I adore the wishbone print! and so true, thrift stores has a lot to offer and it's always fun to look around. That is such a cute wall hanging! !